partners with for National Pancake Day. During this event, more than 1500 IHOP locations invite guests to enjoy a free short stack of buttermilk pancakes, and in return, give a suggested donation of $5 per stack. Leading into National Pancake Day, IHOP restaurants sell Children's Miracle Network Hospitals balloons to guests to generate publicity for National Pancake Day, and gather additional donations for Children's Miracle Network Hospitals. Primary Children's Medical Center is the children's hospital for Utah, Idaho, Wyoming, Nevada, and Montana. Our hospital is equipped to treat children with complex illness and injury, and is recognized as one of the top children's hospitals in the United States. Primary Children’s is the only Level 1 Pediatric Trauma Center serving the Intermountain West. Our hospital is also one of nine core sites for the the Pediatric Heart Network. Primary Children's is owned by Intermountain Healthcare. 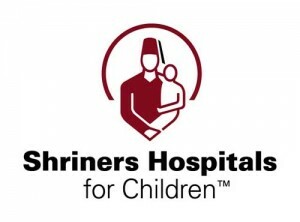 Shriners Hospitals for Children® is a health system of 22 hospitals dedicated to providing pediatric medical care, world-class research and educational opportunities for medical professionals. Shodair began as a home for orphaned and abandoned children in 1896. As Shodair evolved to meet the needs of Montana’s children, it became the first facility in the state to treat children with polio, the first facility with a department of medical genetics, and the first with a chemical dependency unit dedicated to adolescents. For more than 115 years, Shodair has stayed in step with the ever-changing needs of Montana’s children. Shodair’s medical specialists develop programs that meet our mission of providing for the care and treatment of children suffering from illness, diseases, and other physical, mental, and emotional conditions that impair their health and well-being. What an easy, fun and tasty way to fundraise! IHOP Night allows local schools, churches and community groups to fundraise in the restaurant with the support of our great team. For information on how your group can raise funds while having fun at IHOP, please contact your local IHOP General Manager.